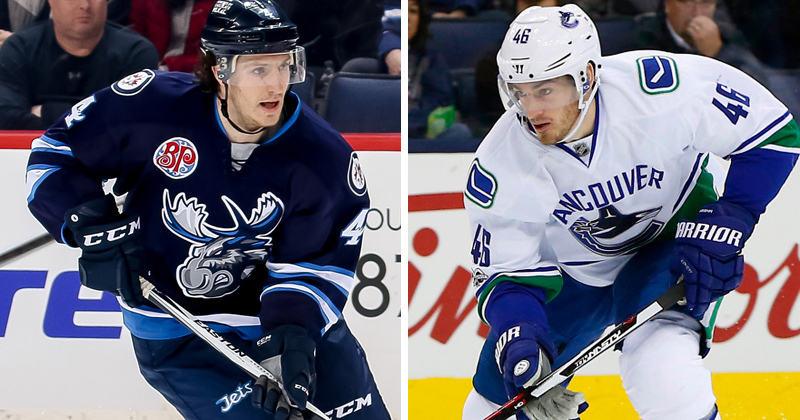 07/01/2018 - The Washington Capitals, the NHL affiliate of the Hershey Bears, announced today the signings of centers Michael Sgarbossa and Jayson Megna to one-year, two way contracts. The announcements were made by Washington senior vice president and general manager Brian MacLellan. Sgarbossa, 25, spent the 2017-18 season with the Manitoba Moose of the American Hockey League, posting 40 points (16 goals, 24 assists), a +8 rating, and 88 penalty minutes in 68 games. The 6-foot, 175-pound forward also collected five points (two goals, three assists) in nine playoff games with the Moose. A native of Campbellville, Ontario, Sgarbossa is considered a veteran player by AHL standards. He has played in 312 career AHL games with Lake Erie, Norfolk, San Diego, Springfield, and Manitoba, scoring 199 points (72 goals, 127 assists) to go along with 343 penalty minutes. His best AHL season came in 2015-16 with San Diego when he posted 44 points (17 goals, 27 assists) in 62 games. Sgarbossa also has 48 games of NHL experience, including 29 games with Florida during the 2016-17 campaign. He has 10 points (two goals, eight assists) in his NHL career with Colorado, Anaheim, and Florida. Megna, 28, scored 13 points (four goals, nine assists) in an injury-shortened season with the Utica Comets in 2017-18. He also appeared in one game with the NHL's Vancouver Canucks. The 6-foot-1, 194-pound forward has vast AHL experience. He played three years with Wilkes-Barre/Scranton from 2012-2015, collecting a team-best 26 goals during the 2014-15 season. He followed that season up with a career-high 44 points (15 goals, 29 assists) as an alternate captain with the Hartford Wolf Pack in 68 games in 2015-16. He has deposited 126 points (60 goals, 66 assists) in 241 career AHL games. The veteran forward nails from Fort Lauderdale, Florida, and also brings 113 games of NHL experience to the Washington organization. Megna spent the majority of the 2016-17 season with Vancouver, and has accumulated 20 points (10 goals, 10 assists) in his NHL career with Pittsburgh, the New York Rangers, and the Canucks.